There is a slightly formal yet very friendly feeling about John Banasiak's photographs. The people are clearly posing for him, yet they feel at ease. They are dressed up in their best clothes and they are giving the camera a smile, but they feel no need to make an overpowering impression. They are decent people in a respectable bar where husbands and wives can come together to dance, where fathers may invite young daughters and where nice girls can come alone. Confronted by a camera, and by a photographer who is a friend, they present their best faces to the world, because they have nothing to hide. All the pictures were taken in 1970 and 1971 in the same place, a neighborhood tavern in suburban Chicago that Banasiak had known since he was a child. The bar and the restaurant behind it were a kind of neighborhood social center, he says, "a good place to go to drink, dance, sing and have a good time," and the Polish-descended people of the neighborhood often held their wedding and funeral receptions and retirement parties there. The photographer grew up in the neighborhood and worked behind the bar while studying photography at the Art Institute of Chicago, and his pictures were taken in the intervals between mixing drinks and talking to customers. The result, half document, half family snapshot album, is an unusual example of the tendency of many young photographers at that time, to use photography as a link between themselves and the rest of the world. These exquisite vintage prints document a world that outsiders knew only as a flash of neon lighting and a burst of recorded music as they drove through the anonymous environs of great cities. 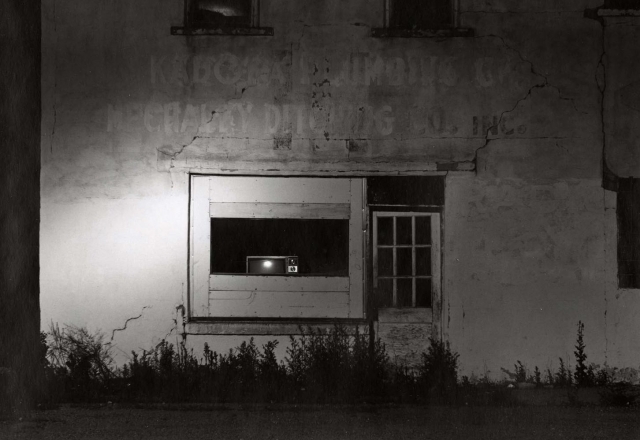 He has captured this mood of detachment in his other series of pictures, which he’s taken outdoors at night. But inside the neighborly tavern, his simple snapshot approach and his warm feeling for people made his own world seem familiar and homey. John Banasiak's photographs are in the permanent collections of the Walker Art Center, the Tweed Museum of Art, the Nelson-Atkins Museum, Kansas City, the International Center of Photography, Light Work, the South Dakota Art Museum, and the Black Dog Collection.